I watched this movie because everyone was talking about it a few years ago, but I honestly wasn’t expecting much from it. Two of the three main characters are disabled, and the average Bollywood film tends to be less PC than the average Hollywood film when it comes to the portrayal of disabled characters–and we all know that your average Hollywood film could stand to do better. So like I said, I wasn’t expecting much, but I gave it a try, because seemingly *everyone* was talking about this movie in 2012. And deservedly so. While it’s by no means perfect, it really did deserve all of the accolades it got. 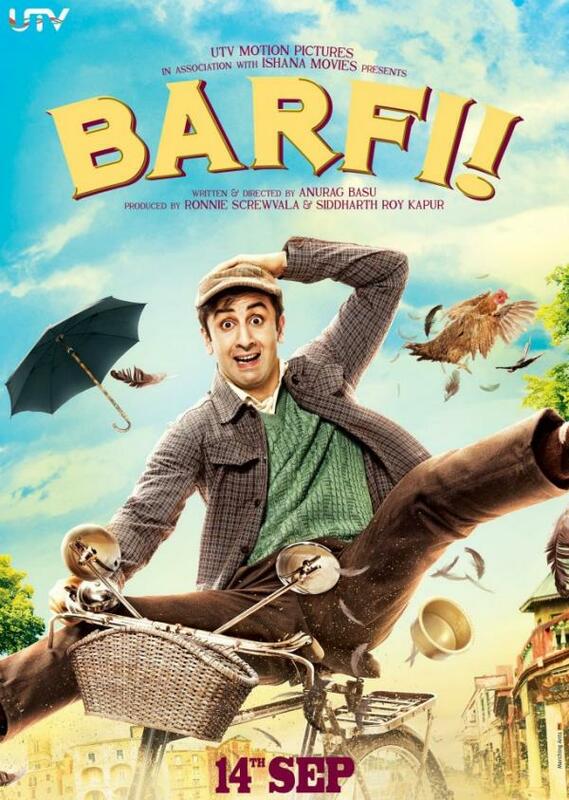 Ranbir Kapoor and Priyanka Chopra are both amazing in their roles, and the story itself manages to not stray into sentimentality while letting the characters be full and complete and above all else dignified human beings. It really far, far exceeded my expectations, and I highly recommend it. The plot is really too complex to sum up, and this is a movie where a lengthy summation of events really will spoil the film, but there’s at least one untimely death, a kidnapping, some baby goats, dancing, Family Drama, a really amazing amount of superb physical comedy, and you’ll probably tear up at the end unless you have a rock in place of a heart. It’s really a charming and delightful film. And there is stellar acting. Really truly. This is, more or less, a retelling of Romeo and Juliet. With a few minor excursions, and a couple of additions. I loved it. Ram and Leela are the offspring of two families on opposing sides of a local gang war. They meet during Holi, and Ram falls in love after Leela threatens him with a loaded gun. He sneaks into her room later that night, and they profess their affection for each other–despite Leela’s engagement to someone else, not to mention the danger of being seen with a mortal enemy. Eventually their families figure out what is going on, Ram accidentally kills Leela’s beloved elder brother, and our duo runs away and secretly marries. I’m sure you see where this is headed? But wait! Leela’s cousins find them, thanks to Ram’s loser friends who rat him out, and haul Leela back home. An assassination attempt of Ram fails, instead badly injuring Leela’s mother, forcing Leela to temporarily take over the criminal empire–oh yes, it’s the women who run things in that family, and you DO NOT want to cross them. Ram and Leela carry out a bitter negotiation session in their respective roles as heads of families (Ram’s father passed his position on to his son without having to die), and essentially declare their relationship to be over, except not. A massacre is planned by devious traitors in both houses, our lovers reunite, and we all know how this one ends. IT WAS AWESOME AMD I LOVED IT. Confession time: I am very fond of the violent, intelligent gangster subgenre of Bollywood films, and there are a lot of really good ones out there. It’s seen a renaissance in recent years. There are some doofy ones, but the good ones are amazing. This one is definitely in the good end of the spectrum, but it’s not my all time favorite. Sanjay Leela Bhansali tends towards the overwrought and overdramatic, but seeing as this was billed as the start as a reinterpretation of Romeo and Juliet, the theatricality works here. This is how Ram makes his entrance. It was amazing, and I think Jazi and I watched it…twice? Three times? More than once, in any case. The music was really good, and all of the songs were gorgeous. I’m going to have to get the soundtrack too. So if you like violent modern gangster interpretations of Shakespeare, with song and dance numbers (see also “Omkara”), this is the film for you. Sekhar Subramanium is a game designer based in London. His son Prateek thinks that all games are too easy because they have villains that are simple to beat, and scorns his father’s skills. 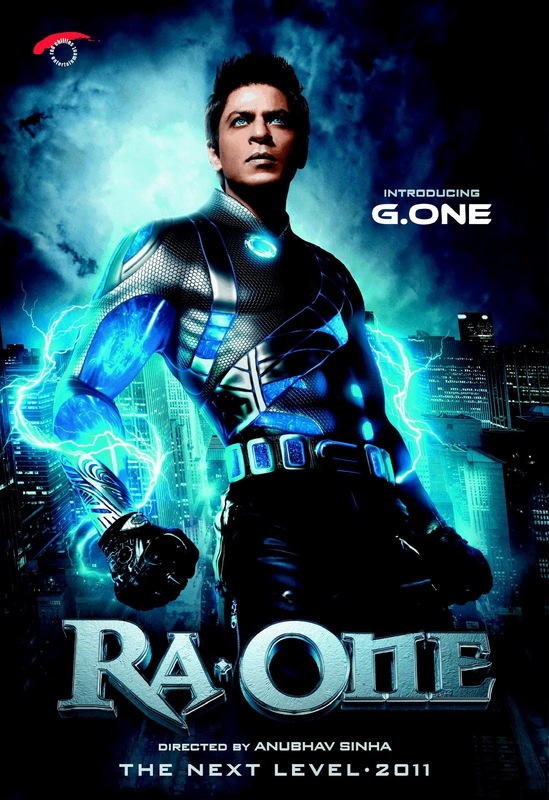 So Sekhar designs a game for his son that has a truly unbeatable villain: RA. One. The game incorporates new technologies that allow RA. One to escape the confines of the virtual world he was made for and seek revenge on Prateek for almost beating him in the real world. Unfortunately for the Subramanium family there are unforeseen consequences (involving awesome car chases) that force them to flee to India. Eventually Prateek and G.One, the hero of the game, persevere and save the world. That’s the short version. The long version involves so many convoluted plot twists that I could never even begin to keep them straight when trying to write them out. Suffice to say, there is danger, action, dancing, wire work, and the need to utterly and completely suspend your disbelief. It’s also fun to play Spot the Inspiration–pretty much every sci-fi movie of the past 20+ years has contributed something to this one. Is this movie as ridiculous and over the top as it sounds? Oh yes. Did I see it twice in one week because it’s a super fun piece of fluff? Perhaps. Am I going to buy the DVD when it’s released? You better believe it. The updating: putting the story in the 21st century did not feel like a stretch. In fact, in many ways this version is truer to the original source material then the oh-so-extravagant 2002 version. The added background for the characters, especially Chanda: knowing how Chanda came to be where Dev found her made the story more complete. Watching events unfold from each character’s view until they meet at common points was also nicely done. The music: unlike most Bollywood films, the music plays an integral part to the story. It’s not just dropped in because there “has” to be a song and dance number at any given point, but because it is part of the story. I’m not *entirely* sold on the ending, which was quite a surprise, and pretty much the only weakness (for me) in the film. 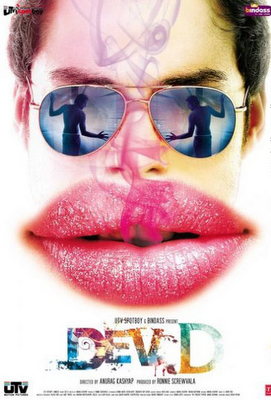 I also really like Abhay Deol, and this film does nothing to dissuade me of that.